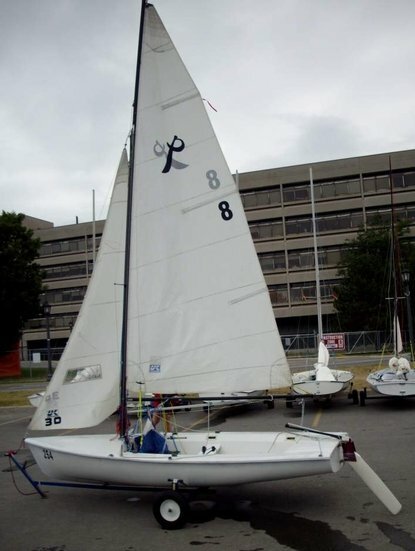 The PIRATE is seen most often in British Columbia and used by sailing clubs and military cadets as an training dinghy. The design is said to incorporate a FLYING JUNIOR hull with a TASAR deck and rigging. Date is only approximate and builder is unknown at this time. Sometimes mistaken for, but no relation to the German PIRATE DINGHY. Thanks to 'JAD3772' for bringing this boat to my attention and providing photo.